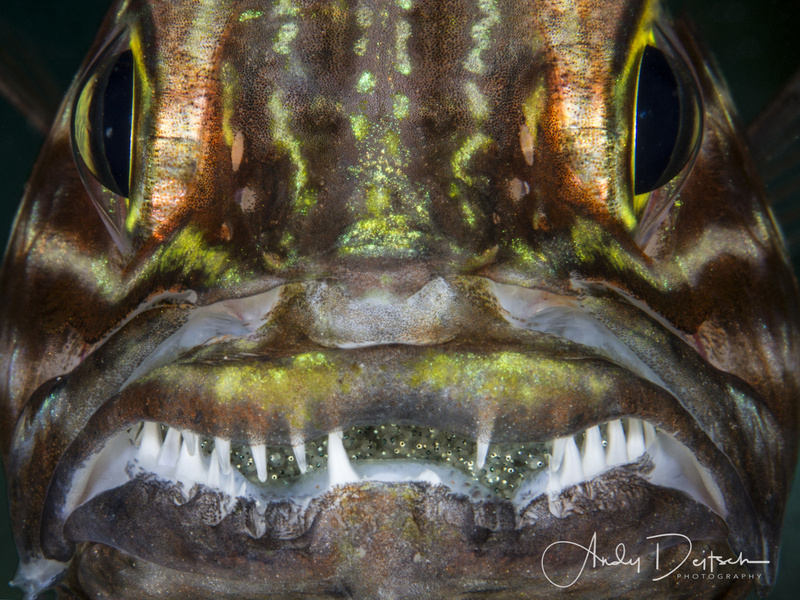 The male tiger cardinalfish broods his young in his mouth. This image was taken at a dive site called the Barge in the Egyptian Red Sea. There are a number of male tiger cardinalfish here and finding one with eggs was the task. I found this fish on my first dive but I spent 3 dives before I got the shot I was happy with.